At 826 Valencia, we are lucky to be working in a fantastic location, surrounded by excellent cafes, restaurants, stores, parks, and schools. One huge perk of our address is our friendly neighbors at Rhea’s Deli & Market. Recently, Rhea’s offered a generous donation to the students at the Young Authors’ Workshop. 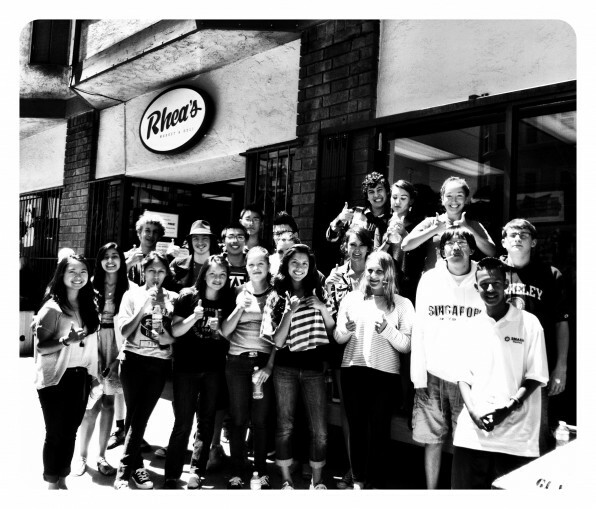 For not one, not two, but three days of the week-long camp, the students get to enjoy an assortment of Rhea’s sandwiches during their lunch breaks, at no cost to them or to 826 Valencia. For their consistently amazing sandwiches and warm generosity, we would like to thank Rhea’s Deli and everyone working there. Mission Local and SFGate picked up on their generosity as well.